Compare taxi ride prices from various companies. We get you the best and lowest prices for you to travel around. 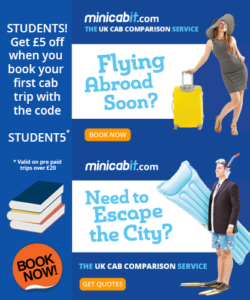 Get the best price on a minicab or taxi by comparing cabs across 300 towns and cities nationwide!